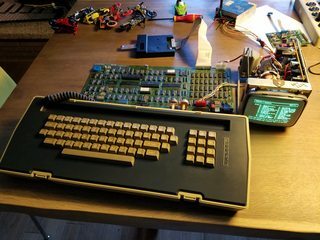 Has anyone successfully used the floppy emulator on an Osborne 1? The pinouts listed in the Osborne 1 tech manual (page 37 / 7.3 "DISK CONTROLLER AND PINOUTS") are not standard. 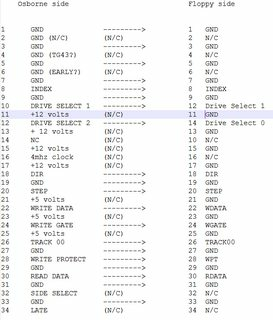 The most obvious difference is that whereas a standard shugart pinout has all odd pins being GND, the O1 has +12v on 11,13,15,17 and +5v on 21,23,25. That could be worked around easily enough by just snipping out those wires. But pins 6 & 34 are also different - the O1 labels these as EARLY/LATE rather than the standard 6 being NC and 34 being READY. I have a O1 in storage that I got from ebay and was never able to boot (whether due to bad drives or bad disks) so am interested in trying the HxC SDCard Floppy Emulator but want to know whether it's a lost cause. jonnosan wrote: Has anyone successfully used the floppy emulator on an Osborne 1? The "EARLY/LATE" seems mean that there are a PLL into the original ffloppy disk drive. Do you have the schematic of the Osborne ? Jeff wrote: Do you have the schematic of the Osborne ? This should works without problem. Just leave "EARLY" "LATE" (the write precomp controls lines), TG43 and CLOCK unconnected. The HxC Floppy Emulator don't need them. You may need to activate the double step support. This can be done into the embedded menu on the emulator (remove the sd, press select). Support directly done on the guenner's Osborne 1 at the Classic Computing 2015 . So to make it works, just don't connect the SIDE signals. For some reasons this signals coming from the Osborne is switching randomly. Since this machine seems to support only single-sided drive, don't connect this signal is not an issue. I'm really happy about my working Osborne with the HXC Emulator. Very many thanks to Jeff's work yesterday and of course the last years! This is really important support for our community. Hi guys. Sorry to bump an old thread, but there isn't much info on this. I'm going to attempt this shortly, and wanted to verify my adapter pin configuration. From what I have gathered, most everything is straight through, with the power supply lines disconnected. 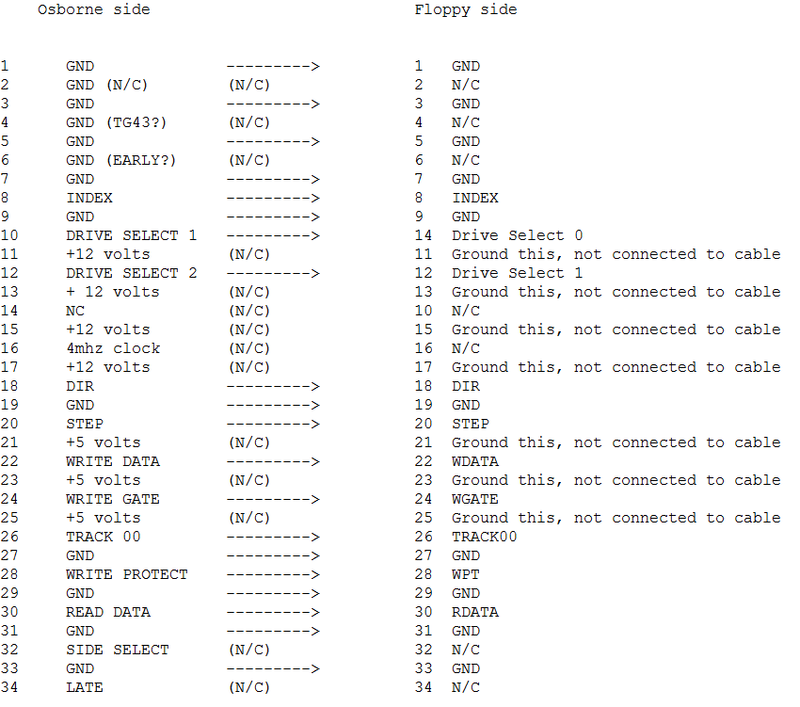 The only pin that's different is pin 10 on the Osborne going to Pin 14 on the floppy drive (Drive select 0). I gave it a try today. Found that I needed to swap the disk select pins around. It's working great! 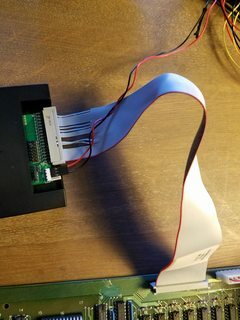 I'm using a cheap Gotek floppy emulator flashed with the HXC firmware.